Bear discovers an enchanted world in the heart of the forest. He makes new, wonderful, friends but stumbles upon a plot involving terrible betrayal. Can he find a way to mastermind a clever escape and lead his new friends to victory in a royal battle. A wonderfully told story through the medium of pictures. The method Rogers uses is engaging, even captivating. The illustrations draw you in and encourage readers to use their imagination. A great story of adventure and friendship. Our character, Boy, ducks into a gallery in order to escape from a gang of bullies. Once inside the most amazing thing happens, he is drawn into a Vermeer painting. It turns out that Vermeer’s Little Street in Delft isn’t a safe place and Boy has to figure out a way to reuse his doggy friends from a terrible fate at the hands of the butcher. A beautiful story with no actual text. There is however plenty of scope for readers to experience a wonderful story, and in rereading probably find something new. The illustrations are terrific and it was a joy to read this story. Being a kitchen girl at Flamant Castle is not where Tommy really wants to be. Tommy dreams of becoming a knight and often watches the training sessions when she should be working. When she stands up to a bully and is made Keeper of the Blades she is so excited and starts to hope that maybe her dreams can come true. 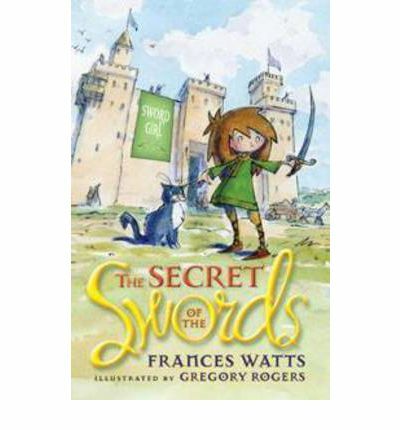 Then disaster strikes, Lord Walters most valuable sword goes missing and Tommy needs to find it so she doesn’t get sent back to the kitchens. Way cool. Sorry but that needed to be said. I love characters like Tommy who have big dreams outside the norm, stand up to those who pick on the more helpless and are open enough to accept the unusual in their lives. Tommy is all that. This story is sure to entertain. The text is funny and appealing. Tommy is in the midst of an interesting cast that includes Lil the talking cat and ghosts that inhabit the swords she is to look after. Rogers’ illustrations bring a quirky visualisation to the story. If you are looking for something for a 7-9 year old girl who isn’t into fairies or way girly things, something with an independent and strong character, then definitely pick this up. Likewise if you want to encourage boys to read books with girl characters, and lets face even these days not enough do, then this is probably a great place to start. Can’t wait to see more of this series.